Just 3 minutes’ walk from the beach, and surrounded by lush gardens and palm-fringed lagoons, the contemporary 5-star Amirandes Grecotel Exclusive Resort is found near Gouves and a short drive from Heraklion International Airport. The resort’s extensive facilities include an Olympic sized seawater pool, spa centre with gym, indoor pool and sauna, 9 top-quality restaurants and bars and jewellery and clothing boutiques. Rooms include designer furnishings, free wi-fi and Jacuzzi bathtubs. Satisfy your appetite at the hotel's coffee shop/café, or stop in at the snack bar/deli. Relax with a refreshing drink from the bar/lounge or one of the 3 beach bars. English breakfasts are available daily from 9 AM to 1 PM for a fee. Take advantage of recreation opportunities such as a seasonal outdoor pool or take in the view from a terrace and a garden. Additional amenities at this apartment include complimentary wireless Internet access, shopping on site, and a television in a common area. Take advantage of recreation opportunities such as a seasonal outdoor pool or take in the view from a terrace and a garden. This apartment also features complimentary wireless Internet access and concierge services. This hotel is located in Gouves, one of the most developed and beautiful destinations of Crete. The Kaissa beach is a new modern and luxuriously designed complex by the beach of Gouves and is situated in a beautiful location, right by the seafront with great view of the sea and distant mountains. Our ambition is to offer you relaxing vacation by providing high quality service and a friendly atmosphere and contribute to make your holidays in Crete an unforgettable experience. All the apartments and studios are modern, spacious and very comfortable. Each apartment or studio is equipped with electric cooking rings, fridge, standard kitchen utensils, TV(local channels) and bathroom with shower. Its beautiful panoramic view in combination with its friendly and calm atmosphere will make your stay pleasant and unforgettable. Complex operates between April and October every year. Its beautiful panoramic view in combination with its friendly and calm atmosphere will make your stay pleasant and unforgettable. The quality of the apartments meet high standards and the surrounding areas and gardens are very well looked after and safe. The owners are personally running the business and are very helpful with everything their guests might need. Guests can enjoy facilities such as: BBQ nights, Room Service, Baby cot, Pool Bar, Billiards, E-mail Service, Sea view, Fax Service, Private Parking, Telephone, Safe Box. Lyda is situated on the outskirts of Gouves, close to 2 sandy beaches. It features 3 fresh-water pools, extensive sun terraces, as well as relaxing hot tub and sauna facilities. All simple and functional studios and apartments feature air conditioning on extra charge and balcony. Hotel Lyda offers large open areas for children to run, 2 children’s pools and a supervised mini club for children. 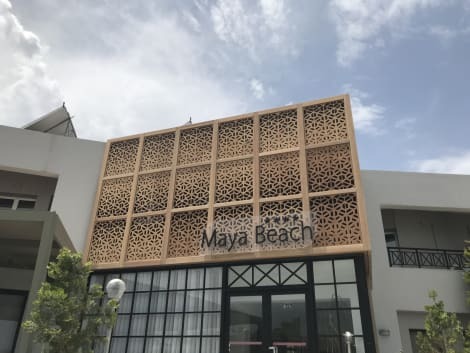 Cots, as well as highchairs are available on request and are free of charge.Lyda Hotel’s all-inclusive program includes a rich breakfast, continental late breakfast, lunch and dinner. All main meals are buffet-style and served in the main restaurant offering a terrace. Make yourself at home in one of the 67 air-conditioned rooms featuring refrigerators. Your pillowtop bed comes with premium bedding, and all rooms are furnished with single sofa beds. Rooms have private furnished balconies or patios. Complimentary wireless Internet access is available to keep you connected. Private bathrooms have complimentary toiletries and hair dryers. Satisfy your appetite at the hotel's beachfront restaurant, which features a pool view. Dining is also available at the coffee shop/café. Mingle with other guests at the complimentary reception, held daily. Wrap up your day with a drink at the poolside bar. Buffet breakfasts are available daily from 7:30 AM to 9:30 AM for a fee. Make yourself at home in one of the 58 air-conditioned rooms featuring refrigerators and flat-screen televisions. Rooms have private furnished balconies. Cable television is provided for your entertainment. Private bathrooms with shower/tub combinations feature complimentary toiletries and hair dryers. lastminute.com has a fantastic range of hotels in Gouves, with everything from cheap hotels to luxurious five star accommodation available. We like to live up to our last minute name so remember you can book any one of our excellent Gouves hotels up until midnight and stay the same night.